Mary Ann Jordan was the first child and only daughter. She was born on March 1, 1833 in Chaimpaign, Illinois. She had three husbands and fourteen children. She married Daniel Wolford in San Diego in 1850, bearing four children. He died in 1856. In 1858, she married William Washington Thomas, this union producing one child. William died in 1860. Mary Ann then married William Coleman Cortner. This marriage produced another nine children. 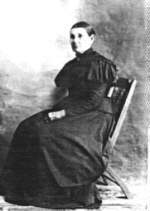 She outlived her third husband by twenty one years, passing in Tulare County on October 05, 1915. She rests in the Hamilton Cemetery. Charles Henry Jordan was born on February 06, 1835 in Texas. He lived to be only eight years old and died in Texas before the wagon train left for California on September 08, 1843. 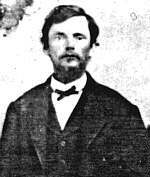 Levi Henderson Jordan was born in Texas on November 28, 1836 and died on the Wagon train and is burried near the Gila River on July 23, 1850. He was thirteen years old. 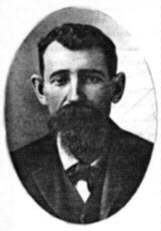 William Francis Jordan was born in Herderson, Texas on November 14, 1838. 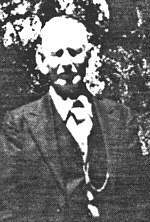 He married Henrietta Ann Brooks on February 10, 1870 in Tulare County. They had six children. When Henrietta died, her body was buried originally in Yokohl Valley and later moved to the Hamilton Cemetery. Six years after Henrietta died he married Mary Sydmore Combs in 1888. This marriage produced four more children. William passed on September 01, 1901 and is burried in the Hamilton Cemetery. Mary outlived him by twenty eight years and is rests in the Exeter Cemetery. Silas Tolbert Jordan was born on September 08, 1840 in Henderson, Texas. He met and married Mary Elizabeth Brooks in Tulare County on September 30, 1866. Their union produced five children. 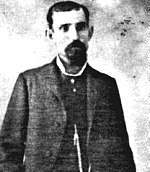 Silas disappeared in Old Mexico in 1904. Mary lived until 1930. Allen Marshall Jordan was born in Henderson, Texas on September 23, 1842. He never married, and passed on in 1887. Henry Sadorus Jordan was born on June 02, 1845 in Texas. He lived to be just over two years old and died on August 25, 1847. John Jordan II was born on January 18, 1847 in Van Zant, Texas. 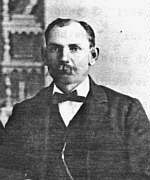 He married Martha Ellen Jennings on August 25, 1875 in Tulare County. Their marriage produced six children. Martha passed on in 1935 and John follwed her on September 19, 1937. John and Martha are both buried in Hanford, California. Elias Francis Jordan was born on January 28, 1850 in Galveston, Texas. "Forney" was just fifteen days old when the wagon train started for California. He married Lourissa Ann Hill in Farmersville, Tulare County on July 23, 1879. Forney and Lourissa had six children. He was Clerk of Kaweah District School Board and for two terms Noble Grand - Exeter Odd Fellows Lodge # 308. Elias Francis passed on August 27, 1934 and is buried in the Hamilton Cemetery with Lourissa. Thomas Jefferson Jordan was the first child born to John and Eliza Jane in California. He was born on September 8, 1852 in San Juan, Monterey County, California. He was married twice but neither marriage produced children. He had a livery stable in Traver, Tulare County and owned a stage line between Goshen and Traver. He died around 1930. 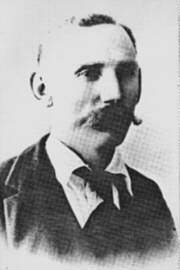 Fredrick Omega Jordan was born in San Juan Bautista, Monterey County, California on December 28, 1854. He married Sarah Jane Tennessee Bailey on May 04, 1881 in Farmersville, Tulare County. Fred and Sarah Jane had two sons and two daughters. He passed on December 09, 1942 and is buried in the Madera Cemetery, Madera County, California. James Buchanan Jordan was born on November 27, 1856 in San Juan Bautista. He married Ellener Ann Myers on March 23, 1893 in San Diego. This union produced thirteen children. JB passed on March 17, 1924 in Yokhol Valley and is burried in the Exeter Cemetery.